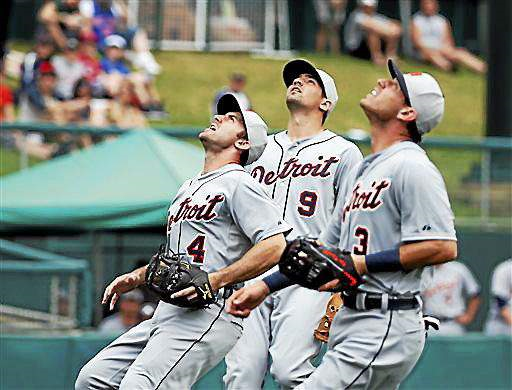 - Look, a dropped fly ball like the one by Torii Hunter can happen to an outfielder at any time. But it does point, in a way, to how Hunter is not nearly the same defensive force he was earlier in his career with the Twins and Angels. Actually, his defensive metrics last season were not good, and is the reason his WAR was a surprisingly low, 1.7 (his worst since 2000) when he put together a solid season offensively (.800 OPS) and was selected for the All Star Game. - The field couldn't look better under the circumstances. It's amazing what they can with turf these days putting in new sod during the worst winter in most anybody's memory. - The idea Justin Verlander is this ready for Opening Day is mindboggling. He has had good command of the baseball and is throwing relatively hard. He looks very good considering he had off-season surgery. - Nick Castellanos isn't a threat to steal bases, but he does run well from home to first. There are a number of third basemen who would have been doubled up on his ground ball. - So the Tigers have no left-handed power. Victor Martinez looked like he will provide some with his home run. What a terrific hitter he is. When a coach has won a national title, been to the Final Four six times, won seven regular season Big Ten titles and four conference tournament championships, it's difficult to put one season above others when it comes to the best. But a month ago, who would have thought MSU would be in the Elite Eight of the NCAA Tournament? Perception was the Spartans were done. Then they went from being the outsider to the trendy pick to win the national championship. One way or another, the Spartans have responded well to the rash of injuries that hindered them this season. Michigan is in the Elite Eight, so the Spartans' victory over the Wolverines in the Big Ten Championship game is growing in cache by the day. Virginia was a No.1 seed, which did play well against the Spartans in the Sweet 16. Michigan State just beat the ACC regular season and conference tournament winner. Think of all the really top-line programs that aren't in the Elite Eight? Kansas, Duke, North Carolina, Louisville, Syracuse. 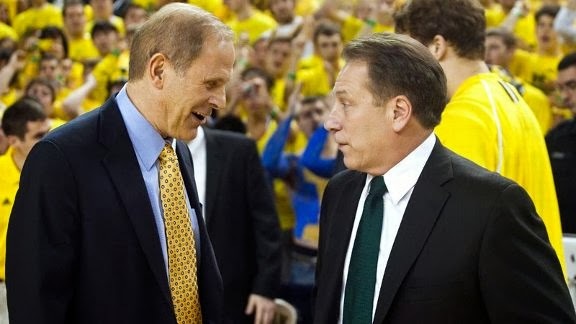 It's been an impressive run for Izzo, who is more than living up to his longstanding reputation for getting his team prepped perfectly for March Madness. Now he has done this before with underdog entries. Two of his Final Four teams, in 2005 and 2010, were fifth seeds. This is from a fourth seed, a team which was drilled late in the season by Illinois, and beaten on the road by an Ohio State team, which didn't do well in the postseason. Branden Dawson is turning into the classic MSU player. What a great comeback he has had from an unfortunate hand injury. 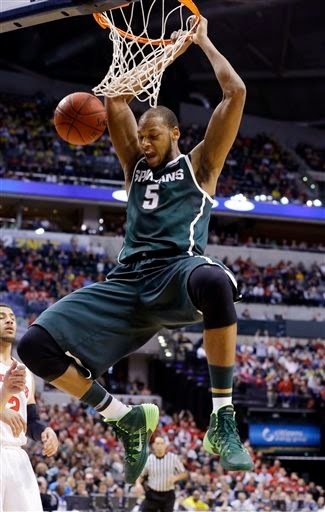 Adreian Payne's foot woes seem like a distant memory. A couple of Izzo's Final Four teams with Draymond Green did just kind of keep moving on when it wasn't expected. Izzo's first Final Four team in 1999 came before MSU had established itself as a power, although was a top seed. And it's true, when this season started, the Spartans were in the Top Three in the minds of virtually everybody nationally. But the injuries and the Spartans poor play late in the regular season were much to overcome. Some people, especially Michigan fans, sometimes tire of praise for Izzo. Yet, it's difficult to knock the guy. The proof why is evident again this March. The guy is Mr. March. Am I surprised? No. At no time did I think the Tigers and Miguel Cabrera would not get together on a contract extension. The timing? That's different. I didn't think it would happen this soon. Look, Miguel Cabrera isn't being overpaid even at 10 years, $292 million. He is the best hitter of his generation and still in his early 30s, television revenue is rising a great deal because of the premium on live entertainment that isn't easily DVR'd, and the Tigers will get a big bump in that area in 2018 when their local TV deal is done. 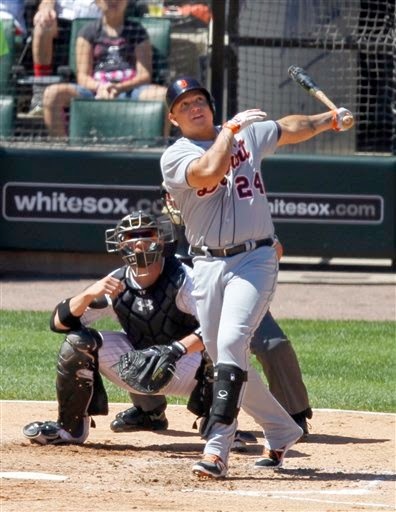 Cabrera plays every day. He is not a once-every-fifth-day pitcher. Even when his talent level drops, it figures to be high in his late 30s. He has never added much defensively anyway, so any drop in that area is insignificant. It's a much better value for the Tigers than if Max Scherzer had signed a reported six-year, $144 million contract offer with the Tigers. Scherzer has been a one-hit wonder. He was a respectable MLB starting pitcher, with more than his share of ups and downs, until last season, in which his numbers were excellent overall, but his 21-3 record the product much the result of superior run support. The Tigers' offer was more than fair, and the announcement of it, and the ending of negotiations by the club, nothing more than a ploy to get negotiations started in earnest before the beginning of the season. And if Scherzer doesn't sign the deal, it could be one of the best things to ever happen to the Tigers. It's not a given his performance last season wasn't an aberration rather than a trend. The idea the Tigers are cutting costs with their offer to Scherzer is preposterous. So is the notion that Mike Ilitch isn't calling the shots, and his son, Chris, is, and that Tigers have suddenly gotten cheap. For one thing, Mike Ilitch is still living, and if anything his advancing age would only accent the urgency to win now. Chris Ilitch is doing the same thing he has been doing for the last seven years: Heading the operations. Both the Red Wings and Tigers have been run better under his leadership, which has been quiet and behind the scenes. He has let his hockey and baseball people, Ken Holland and Dave Dombrowski, do their jobs. The Doug Fister trade was a terrible one, at least on the surface (the only thing that can save it is if pitcher Robbie Ray emerges, which is a long shot for most prospects, even solid ones). But if the Tigers were really cutting payroll for the future, they would have moved Austin Jackson or Rick Porcello, players at the same point of the arbitration process as Fister, but younger, and who will likely be more costly in the future. It was a rough spring for the Tigers. The injuries to Bruce Rondon, Jose Igelesias and Andy Dirks might be hurtful. But the core of the club is together. The Tigers did sign Joe Nathan to close. They saved money on the Prince Fielder for Ian Kinsler deal, but Kinsler is still a high-priced player. There are valid reasons to criticize the Tigers and Red Wings and Ilitch's ownership. OK. Cheap" Cost-cutting on player talent? Not among them. Actually, they've probably thrown good money after bad more than they should have down through the years with both teams. Cabrera? This was going to get done. Just a matter of time. Good for Tiger fans it was done sooner instead of later. You get the sense Pistons' owner Tom Gores and his "people" at The Palace don't have a real good feel for their fan base. 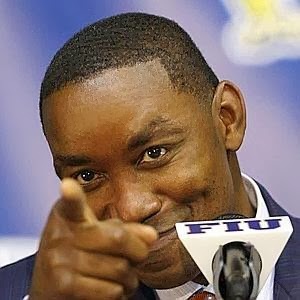 First, you heard rumors they were interested in Isiah Thomas to replace Joe Dumars running basketball operations (denied by The Palace). Now, USA Today floated out the Pistons will "pursue" Tom Izzo as coach. Both ideas were widely panned on social media and sports talk radio in this town. Why? It's a sure-fire sign Gores and his "people" over at The Palace are more infatuated with big names than actually digging to find a basketball diamond in the rough to turnaround the Pistons' wayward basketball fortunes. The best decision Izzo ever made was staying at MSU in 2010 when Dan Gilbert and the Cleveland Cavaliers courted him. LeBron James didn't stay, but the Cavs have had two first overall draft picks (Kyrie Irving and Anthony Bennent) and Tristan Thompson since, and are still worse than the Pistons. Had he taken the Cavs' position, Izzo likely would have fired by now and be coaching at another college. I was very harsh in my criticism of Izzo dancing with the Cavs in 2010. It was an unnecessary power grab, and a narcissistic moment from somebody whose is deservedly admired for being grounded and down to Earth. The biggest reason why, though, dealt with the state of this state at the time, and how Izzo, among other MSU coaches in the past (most notably football coaches George Perles and Nick Saban) were constantly dancing with the pros. It hurt the collective psyche of MSU. However, the Pistons job is in this state, and while we are are not exactly rolling, The Great Recession is over. Michigan State's athletic department has never been in better shape because of the fortunes of the football program under Mark Dantonio. As such MSU, could better absorb the loss of Izzo now than in the summer of '10. If Izzo wins the NCAA title this season, he will have gotten that elusive second national championship. If he doesn't, he will be fielding a team without Adreian Payne, Gary Harris and Keith Appling next season, and have a program that is unlikely to take a national title run in the near future. In other words, this would be a good time to get out, if that's what he wants. But I've always seen Izzo as miserable as an NBA coach, especially in one of those "no win" situations, which is kind of the Pistons are right now. I also think it would terrific if he stays at MSU for, say, 30 years overall, gets another national title or two and retires with a reputation along the lines of Dean Smith, Mike Krzyzewski.and John Wooden. You know, not only as one of the all-time greats, but having done it, essentially, at one school (I know Wooden and Krzyzewski did coach at other schools). I hear people talk all the time about all the great things Izzo has done for MSU, and it's true. But it's a two-way street. Look at all the great things MSU has done for Tom Izzo. He was given a chance a long time ago, he wouldn't have gotten at other places. He has gone beyond making the most of that situation, but the opportunity likely wouldn't have been nearly the same at other schools, either. It'd be nice if that two-lane highway to success remained opened, rather than Izzo going to career road block in Auburn Hills, where they need to figure out the real way to get remove themselves from the jam. 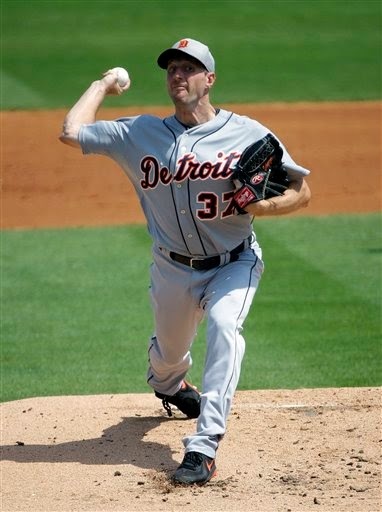 The Tigers stated Sunday they have made their final offer to 2013 AL Cy Young-winning pitcher Max Scherzer on a contract extension. Not only has general manager Dave Dombrowski told reporters this, but the team actually released a written statement. But I'm not so sure this is the end of the negotiations, but in a sense the beginning in earnest. I've seen the Tigers do this before under Dombrowski's leadership, albeit in a different time and different place with a different pitcher. It was after Justin Verlander was drafted by the Tigers in 2004 and didn't sign. It got to October after Verlander sat out his entire first professional season, and the Tigers announced they weren't going to sign him. A week later, Verlander signed. Sources told me at the time the Tigers were not pleased with Verlander's agent, who wasn't nearly as known or powerful in the game as Scott Boras, Scherzer's representative. Verlander's father, who had a negotiating background as union rep in his own profession, was the one who stepped in and got the contract done. But the ploy is the same. Obviously, neither side wants this to drag into the season. It's also true that these type of negotiations don't get done until lines are drawn, which is exactly what the Tigers did Sunday. But lines in the sand like this can be washed away much easier than those etched in stone. There is still a week remaining before opening day. What the Tigers did was put a lot of heat on the ball- and threw it over to Scherzer's. court. Now, he kind of looks like the bad guy, who doesn't want to stay in a town, Detroit, and play for an organization, the Tigers, who have been very good to him. Maybe it will work. Perhaps it won't. Boras isn't easily intimidated. I just don't see how not signing long-term will benefit Scherzer. He had. by far, his best season last season. Before that, he only had stretches of similar effectiveness. An off-season or any type of injury, Scherzer could be costing himself an incredible amount of money by rolling the dice and pitching this season without a contract extension. Both sides still have a lot of reason to get this done. As such, it wouldn't me surprise if they still do by opening day. 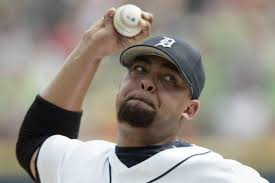 I talked to a Tigers' fan the other day and he asked me if I thought Bruce Rondon was like Joel Zumaya. Interesting thought. Each rank among the hardest throwers in the history of MLB. Both broke down with arm injuries as young relievers with the Tigers. After that, though, they didn't have a lot in common. Zumaya had a shoulder issue, and some other uncommon arm issues not related to his elbow. He was groomed as a starter in the minor leagues, and then often muscled up and tried to throw as hard he could as a reliever, perhaps to live up to his "Voodoo Child" legend. He also had what pitching coaches refer to as a violent throwing motion. Pitchers rarely return to form from shoulder issues. If they do become effective MLB pitchers again, it is as re-inventing themselves by become finesse-style hurlers because they can't throw nearly as hard. 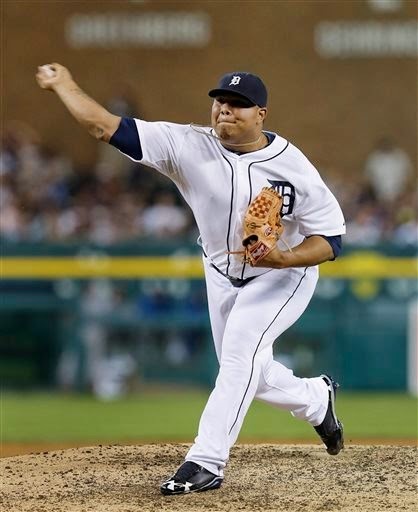 Conversely, Rondon has been groomed as a closer from Day 1. His delivery is not violent. It's smooth and fluid. While he has had command issues, it hasn't been because has overthrowing. Tommy John surgery is a medical wonder for pitchers with elbow injuries. Sports Illustrated reported this week that 124 MLB pitchers have returned from the surgery since 1989. Most have returned throwing as hard, and in sometimes even harder, than before Tommy John surgery. So while the odds were strongly against a comeback for Zumaya, they are strongly for Rondon coming back as strong as ever, albeit it after a long rehabilitation program. He likely won't be the same, even under the best-case circumstance, until 2016. 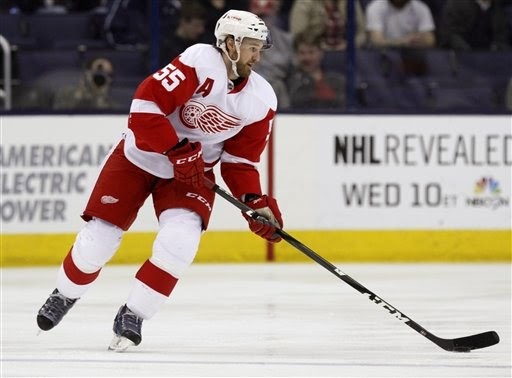 Defenseman Niklas Kronwall has been with the Red Wings 10 years. It's not like he has totally lacked recognition. He has played in two All-Star games. He has played very well for Sweden in the Olympics, including a key role on a gold medal-winning team in 2006, and a silver medal winning team this year. Yet, he's only placed in the Top 10 in Norris Trophy voting once, 10th last season. Niklas Kronwall: Red Wings' MVP this season? Kronwall's detractors will point out he has been a minus player the last three seasons, and is only plus 45 in his career despite playing on many terrific Red Wings' teams, and that's with a plus 25 one season. But watching the Red Wings' thrilling 5-4 overtime victory Pittsburgh Thursday, it dawned on me exactly what a tough state the Red Wings would be in without Kronwall. He is the Red Wings' second-leading scorer with 43 points, his best output since his career-high 51 in 2009. He eats up time on special teams. He is a steady hand on the blue line, who has only missed two games this season on a team that has nothing but injuries. The Red Wings still have a shot at making the playoffs, even with two great players, Pavel Datsyuk and Henrik Zetterberg sidelines with injuries. Without Niklas Kronwall, I'm sure they would have that chance. Yet, Kronwall's importance to the Red Wings is seldom pointed out. At least when it comes to this blog, consider it done. There is much angst about the Red Wings, as if they have been a disappointment this season. Actually, I feel the opposite, at least to this point, even if they remain on the fringe of the Eastern Conference playoff race, and their spot in the postseason for a 23rd straight year is precarious. Both Pavel Datsyuk or Henrik Zetterberg are out. Zetterberg has missed 23 games and will not play the rest of the season. He has played just 45 games, and remains, by far, the Red Wings' leading scorer in regard to points. Datsyuk doesn't appear close to returning. He has played just 39 games. Goalie Jimmy Howard hasn't been himself until recently because of injuries. Yet, the Red Wings are just a point from the last playoff spot in the Eastern Conference. Gustav Nyquist has been a huge factor as to why. He has 19 goals in 43 games, and scored twice as the Red Wings got an impressive victory over Toronto Tuesday. Zetterberg and Datsyuk are on the other side of 30. Whether the Red Wings reach the playoffs or not this season, where does the future lie? They need top-end players. Zetterberg was the captain of Sweden's Olympic team and Datsyuk Russia's Olympic team. Both probably rank among the Top 25 players in the world when healthy. An argument can be made Datsyuk has spent much of the last five years in the Top 10. That type of talent doesn't grow on trees. It's amazing the Red Wings found those two players with the 171st and 210th picks in the NHL Draft. Nyquist might be next. He is 24. He was a fourth-round draft pick (121st overall). Datsyuk and Zetterberg both took similar paths. They showed surprising signs of effectiveness as late-round draft picks their first two seasons with the Red Wings, and then had big breakouts in Year 3. Will it happen similarly with Nyquist. He could be more than just a nice piece. He could be a star. There are signs the "next ones" are on the way. Tomas Tatar has been impressive. Anthony Mantha, a 6-4, nearly 200-pound and growing forward, is looking like the steal of last year's draft at No.20 overall the way he is dominating junior hockey with his rare combination of size and skill. But it could begin with Nyquist and what he is doing late this season (he has 14 goals in the last 20 games). And it does make you wonder where he was earlier this season. He had 21 points in 14 games with Grand Rapids at the start of this season after standing out in the playoffs for Detroit last season. He should have been in Detroit. If the Red Wings left a couple points on the table because they didn't have Nyquist early in the season and barely miss the playoffs because of it, it will go down as a blunder for general manager Ken Holland in what has mostly otherwise been an excellent career. Tom Izzo, again, proved why he deserves his status as a legendary coach. The Spartans couldn't have been better prepared for the Big Ten Tournament, or to beat Michigan, which had been on a roll. 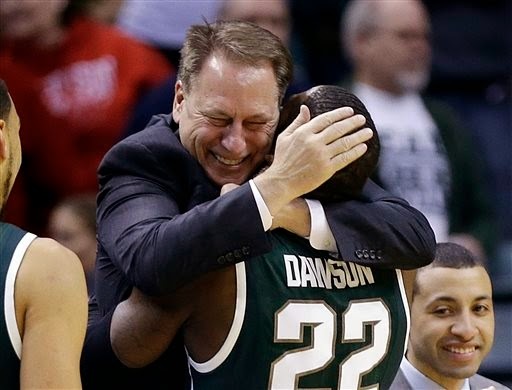 Izzo didn't just have his team prepared well strategically, but also emotionally. Defense is about effort. The Spartans' defensive effort was superior Sunday, and all weekend. Michigan State didn't shoot well at all from the outside, and still routed the Wolverines. Izzo also has a deeper and better team than John Beilein and the Wolverines without Mitch McGary, who was really missed Sunday. But there is no shame for Michigan in this loss. In a sense it was evening out process. But both teams will be taking similar resumes into the NCAA Tournament. And each got a championship. We have seen exactly why Michigan State has been so successful down through the years with the way the Spartans have reacted to a so-called new life in the Big Ten Tournament. They are a very tough program mentally. With their full contingent of players back, the Spartans are very difficult to defeat in big games. 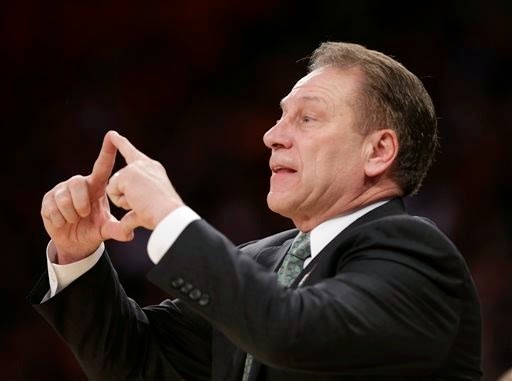 Questioning Tom Izzo's coaching is idiotic. It begins with defense. The Spartans did clamp down on Wisconsin, which I'm not sure isn't the best team in the Big Ten. Branden Dawson being healthy has helped the Spartans immensely. Adreian Payne and Keith Appling have been more themselves, too. I agree Michigan's Nik Stauskas deserved the Big Ten Player of the Year Award, but Gary Harris is actually the better player. I still believe the Spartans have a better team than Michigan, and will prove it today in the Big Ten Championship Game Snday. That isn't meant as a knock on the Wolverines, who have been amazing this year. But I will say this: If the Wolverines beat the Spartans a third straight time under these circumstances, it'd be an incredible accomplishment. I'm just so happy the Spartans and Wolverines will be meeting today. It's been long overdue in the Big Ten Tournament. It will be a beyond compelling game and very special for this state. 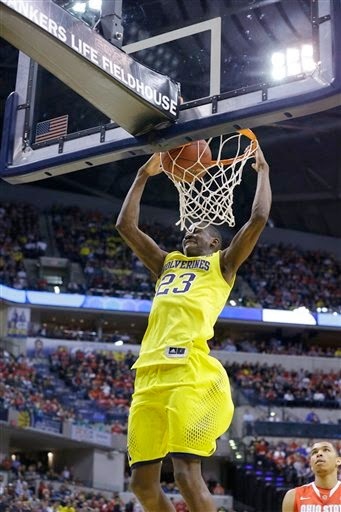 Michigan hasn't played particularly well in the tournament, but has still won both its games. It says a lot for the value of the Big Ten regular season title and the No.1 seed (if they played better competition, the Wolverines likely would be out) and it says a lot for the Wolverines continued display of competitive character. Michigan didn't shoot well in the second half, the Wolverines missed more free throws than they typically do and they blew a big lead. Yet, they found a way to win. Aaron Craft blew it for Ohio State at the end with the missed free throws and blundering away the last play, but at the end, Michigan was there to defend him, too. Excellent win for the Wolverines, and hopefully, for the sake of this state, we see the much-anticipated Michigan State-Michigan championship game tomorrow. 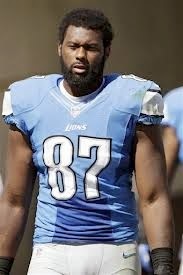 If you've read this blog, you're aware that I haven't exactly been an advocate of the Lions re-signing tight end Brandon Pettigrew. It's not because he is a bad player, but they need more explosiveness at the tight end position, and more consistency catching the football. Pettigrew has had way too many drops, and his production has been going down, not up. He is a good blocker, but not the dominant blocker anticipated when the Lions took him 20th overall in the 2009 NFL Draft. But, despite all that, I didn't see the Lions re-signing Pettigrew as that bad a move. The reason: The cost. It's a cap friendly deal - just $8 million guaranteed. I still believe the Lions should consider selecting a tight end early in this draft. It's deep for the position. North Carolina's Eric Ebron is an extraordinary talent and is still worthy, in my opinion, of being selected with the 10th overall pick. Having Pettigrew makes it more feasible for the Lions to take a wide receiver 10th overall. But more and more, the order of the day appears like the Lions will have to focus on defense in the draft. They have needs there in the secondary and linebacker. Former Ravens' safety James Ihedigbo.may still sign with the Lions, but he is the ultimate stop gap. He would not be an upgrade from Louis Delmas. The contrary. If there is any given in this draft, it is the Lions will select a safety. On the Detroit Lions signing Golden Tate as a free agent. If there is a debate, it's about the cost. The signing bonus is a lot, and the Lions should have more room in free agency to make moves, but don't because of Ndamukong Suh's contract, which has become an albatross hanging around the franchise's collective neck. But there are more upsides than down ones regarding signing Tate. He is faster than the vast majority of NFL wide receivers. He ran a 4.42 at the scouting combine in 2010, and hasn't lost his speed. He does make big plays and is a fluid athlete, who was once a terrific baseball player. He rarely drops passes. I look at him as a faster and younger version of the Nate Burleson the Lions acquired a couple years ago. The one difference is Tate's career is on the upswing, not the downside. His signing does give the Lions more flexibility in the draft, too. They don't have to take a wide receiver early now. It opens the door for them to seriously consider North Carolina tight end Eric Ebron, a superior prospect, in the first round, or help on defense, depending on which playmaker falls to 10th overall (Oklahoma State cornerback Justin Gilbert would be ideal). 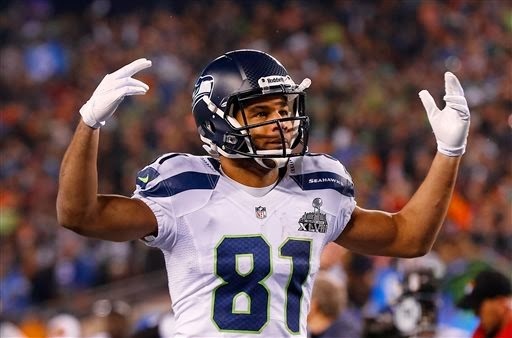 I do think Golden Tate would be a good addition for the Lions. He is relatively young, has outstanding speed and there is still room for him to grow as a receiver. I doubt he has played his best football yet. The question is a matter of cost. I don't know if he would have come here. It's likely premier safety Jarius Byrd would have chosen New Orleans based on reputation anyway. But he was the one true differencemaker there for the Lions. It gets back to the issue of Ndamukong Suh. His ridiculous $22.4 million salary cap hit and the inability to get a contract extension done by the start of the free agency signing period is clearly handcuffing the Lions. I'm not sure if that says more about the Lions or Suh, who vastly overpaid based on his production (223rd in the league in tackles, 63rd in sacks in '13). You'd think there would be a sense of urgency on both sides so they could clear space to improve the Lions for the 2014 season. Evidently there isn't, and it is inexcusable. Stephen Drew is an expensive player. Just the fact he turned down a $14 million qualifying offer from Boston says it all about his salary expectations. His agent is Scott Boras, who has traditionally driven hard bargains for Drew and his brother, J.D., in the past. Like power-hitting outfielder Nelson Cruz, who signed with Baltimore for much less than his qualifying offer, and first baseman/DH Kendrys Morales and starting pitcher Ervin Santana, who remain free agents, Drew has fallen through the cracks of the free agency system after turning down a solid one-year offer. He would cost the Tigers a first-round draft pick as compensation, which pushes teams away as much as money. But here is a dose of reality. The still-high pile of snow outside your window is misleading. The Tigers open the season in three weeks. 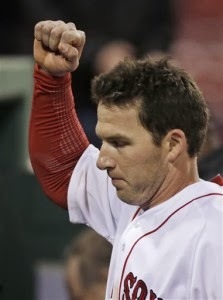 Stephen Drew: At what cost? Shortstop Jose Iglesias has shin splints, isn't playing and might not be ready for opening day. Even if he is, will he be 100 percent? He is a player who relies primarily on his legs (a lot of infield hits and defensive range). With Andy Dirks out for three month, the Tigers have just Victor Martinez and Alex Avila as left-handed bats. There is a huge drop off with Rajai Davis, a right-handed hitter, between his effectiveness against left-handed and right-handed pitching. Steve Lombardozzi is a switch hitter, and would fit in for Iglesias, but he was minus WAR player with the Washington Nationals. And where's the rest of their infield depth? It's thin. So is the left-handed hitting. Drew is a very good fielder. He slumped in the postseason last year and strikes out too much, but does provide some left-handed pop with his bat. The odds are still strong he will re-sign with Boston. The Red Sox have been using Xander Bogaerts at SS. The danger is simply creating a market for Drew by having interest. His 3.1 WAR last season was the second best of his career and suggests he is a reasonably effective player. At 31, he is in his prime. Losing the draft pick might seem steep, but the Tigers should be in total "win now" mode. They still have Max Scherzer together with Miguel Cabrera and Justin Verlander for another year, but there are no guarantees beyond this year. And both Cabrera and Verlander have reached 30. The window of having baseball's best hitter and starting pitching isn't going to stay open forever. - Henrik Zetterberg is out for two months and Pavel Datsyuk three weeks. The Red Wings need to win now to make the playoffs and Legwand is a proven commodity on both the power play and penalty kill. He has been particularly effective on the power play this season. - The Red Wings did give up a good prospect for him, even though Legwand is eligible for unrestricted free agency this summer. But they didn't give up Tomas Tartar or Gustav Nyquist or Tomas Jurco or Anthony Mantha. The Red Wings didn't pay with their future in this deal, yet they played for the present. 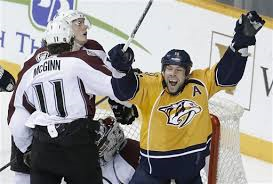 Legwand is from Grosse Pointe, has always wanted to play here and will likely resign this summer with Detroit. If not, he would not have his no trade clause. Nashville is still in the playoff race and he is the franchise's all-time leading scorer. At 33, he has not lost any of his speed, remaining one of the fastest skaters in the NHL. And there is some question whether the prospect the Red Wings moved in the deal, Calle Jarnkrok, will return to Sweden to play next season. - This isn't the NBA. An 8th and 6th seed met in Stanley Cup finals in '12. 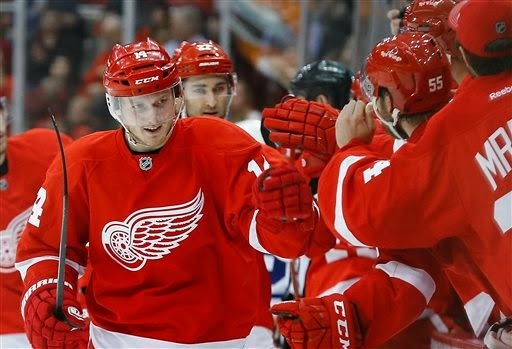 The Red Wings, as a seventh seed, pushed the eventual Stanley Cup champion Chicago Blackhawks to overtime of Game 7 in the second round last year. Get Datsyuk healthy, get in the playoffs, maybe get Zetterberg back...and play to win. Losing organizations are perpetually rebuilding. The Red Wings are doing the right thing. - The only thing that would be wrong about this is if Jarnkrok were able to help them now as much Legwand, and that clearly isn't the case. The very thought owner Tom Gores would consider bringing back Isiah Thomas to run the Pistons' basketball-related operations is laughable. If Gores were to even consider the idea, it would the biggest tell-tale sign yet he has no clue as the Pistons' owner. It's not surprising a spokesperson for him has vehemently denied a New York Daily News report suggesting it. Thomas' has been a disaster for pretty much every basketball-related product he has touched since his playing career ended. 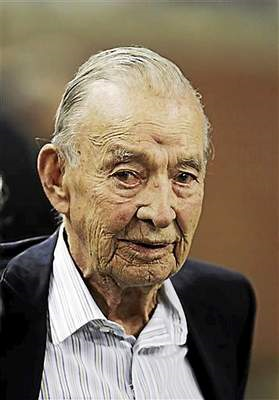 He also left town in a regrettable manner, but of his own doing. Thomas was a true icon of the NBA as a player during its salad days. He was right up there with Magic and Bird and Jordan and Dr. J as a player, yet while their legends as players have grown with time, Isiah's has diminished. While Thomas certainly has not done anything to merit being given the keys to the Pistons' basketball-related operations, or to be brought back for any other reason than to celebrate the Pistons' championships, it's a shame he doesn't get his due as a player historically. The Pistons did win two NBA titles in the greatest of era of the league. Without Thomas, there is no way that happens. He was brilliant, and the hope is this town never, ever forgets how brilliant - despite his career after retiring as a player.